A baby’s skin is without a doubt silky-smooth, flexible and plump--so lovely and smooth that you feel like touching it and squeezing it all the time. On the downside, it is much thinner and sensitive compared to adult skin. This is why it is generally not a good idea to use skin care or body care products that are suited for adult skin as there is a high chance of irritating your baby’s skin--and you certainly don’t want that! For this purpose, we suggest that you go for natural and preferably organic baby care products that have a slim to zero chance of damaging the delicate skin of your precious little one. Natural moisturizing substances that form a natural moisture barrier on your baby’s skin, e.g., glyceryl stearate, aloe vera, and plant-derived allantoin. 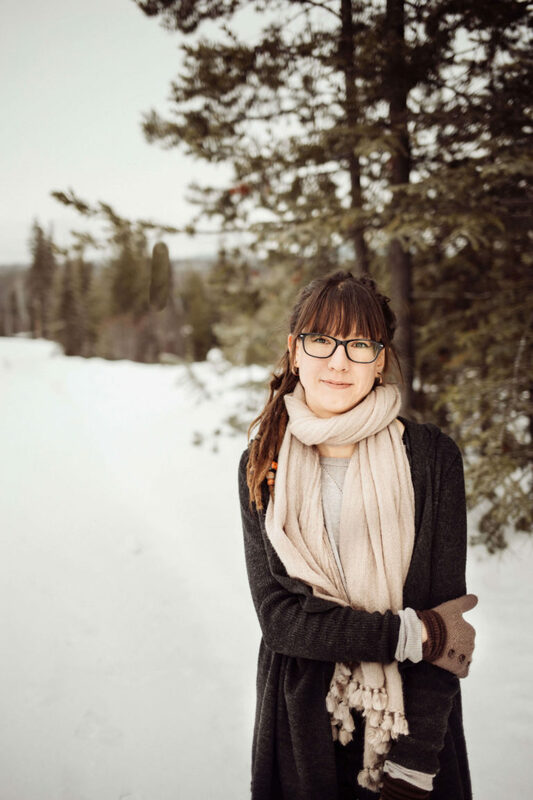 Natural Emollient and lubricating substances that make the product less drying and more slippery, e.g., jojoba oil, coconut oil, olive oil, and all carrier base oils. Mild cleansing agents that effectively cleanse the skin of your baby without causing irritation, e.g. liquid castile soap, natural clay, and oatmeal flour. Soothing and calming herbal extracts that help soothe any baby skin irritations. Some good herbal extracts for baby washes include chamomile extract, lavender extract, calendula, aloe vera juice, banana, avocados, and coconut water. A pump or tube package that is more hygienic and prevents the transfer of bacteria from your hands to the product. If you are about to buy a baby wash, it’s best to avoid purchasing a product with any of these chemical ingredients as they are linked with skin irritations and can be toxic for your baby’s health as well. Propylene glycol. An artificial emollient linked to skin cancer and hormonal disturbances. Sodium Lauryl Sulfate. An ingredient used to make washes produce more foam that is blamed for skin rashes, eye irritation, and breathing or lung products. Triclosan. An artificial ingredient used to stop bacteria from spreading but may trigger baby skin allergies, rash, eczema, and other skin care problems. Parabens. 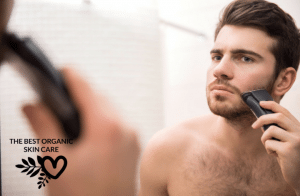 Parabens are widely used as cleansing agents in washes, shampoos, and moisturizers, but they are dangerous neurotoxins that may deteriorate nervous system health and disturb natural hormone release. Artificial fragrance. 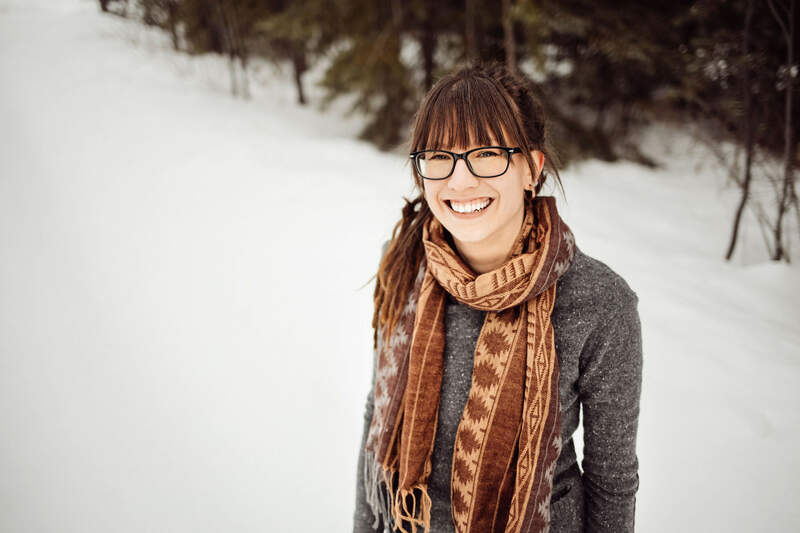 Used to add a scent to various skincare and body care items but its vague name hides many other synthetic chemicals that are linked to skin irritations and various health problems. A wash initially developed for adults with sensitive skin types that is gentle enough to use on your baby as well. 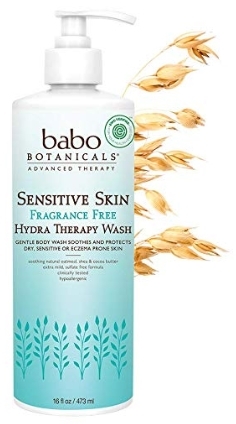 Its plant-based formula with natural oat protein, shea butter, vitamins, antioxidants, and natural moisturizing agents helps soothe and protect sensitive skin and calm down skin irritations like baby rash or eczema. We like its fine and moisturizing consistency as well as the fact that this has an extremely light natural fragrance that is almost undetectable on the first sniff. May not be cleansing or aromatic sufficient for some. A 2-in-1 product that is suitable for daily hair and body washes. Its ultra gentle formula is great for adults and babies alike and its naturally enriched with organic glycerin, apple seed oil, chamomile extract, coconut extract, and various other skin-friendly herbals and vitamins. Besides its gentle yet rich natural formula, we also love the fact that it comes with a konjac sponge that you can use along with the wash to cleanse your baby’s skin more effectively without causing any irritations (well, unless you rub too hard). A bit pricey ($32-35) considering the amount of product that you get which is 200 ml. A natural 2-in-1 formula that gently cleanses and soothes at the same time your baby’s hair and skin. This product comes from a historic natural skincare company that you can trust for their tested and skin-friendly products. 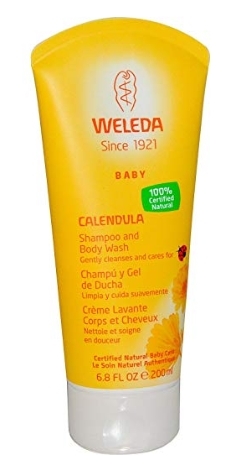 The Weleda Calendula Shampoo and Body Wash formula is enriched with herbals that are great for sensitive skin such as sweet almond oil, calendula, and coconut extract. We bet you’ll love it because it’s very gentle for both baby and adult sensitive skin and it’s sold at a great price as well. A product just like its name denotes--pure. Puracy's Natural Baby Shampoo and Body Wash is a dermatologist-developed formula with clinically-tested ingredients aimed at cleansing, nourishing, and soothing baby skin in the gentlest way possible. It also has no artificial chemical irritants and is certified vegan and cruelty-free. If you are looking for a natural soothing formula for your baby with a balanced pH that is highly unlikely to cause skin irritations, this is the product to buy. A vegan body and hair wash formula that utilizes all the goodness of veggies like apple, broccoli, olives, and oranges to make a highly effective yet gentle baby care product. Great for babies and kids of all ages--from newborns to teens. This clinically-tested and dermatologist-approved formula is highly unlikely cause any skin or eye irritation. We also love that it’s very foamy and feels very cleansing but not harsh at all, which makes it great for both shower and baby bubble baths. A lovely 3-in-1 product that serves as a baby shampoo, body wash, and bubble bath. 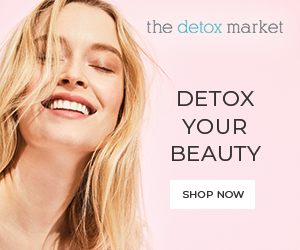 The formula is infused with essential oils and plant-derived ingredients such as Aloe Vera, Calendula, White Tea, and Chamomile which are renowned for their soothing and rejuvenating skincare properties. If you are fond of natural and refreshing smells, this also comes at 3 different scents to choose from: lavender lullaby, tropical coconut twist, and orange squeeze. 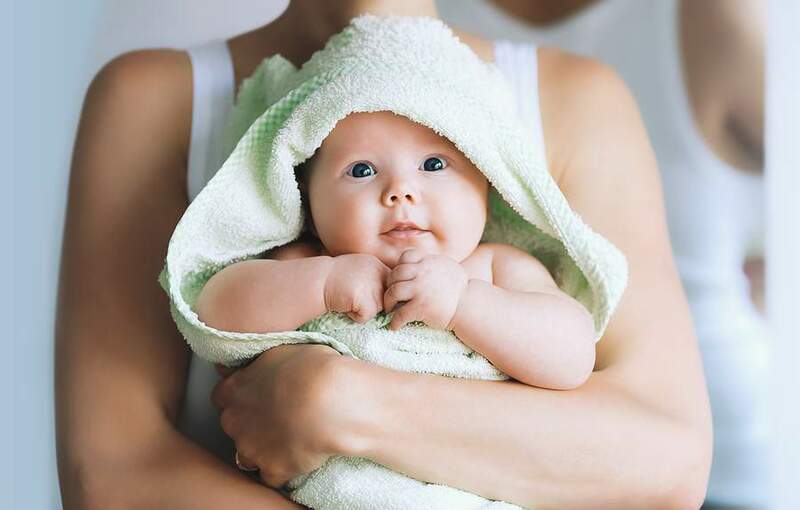 Searching for a suitable natural wash for your baby may seem a tad challenging, but there are plenty of natural options to choose from, and we hope we’ve made things easier for you by giving you some of our top picks. 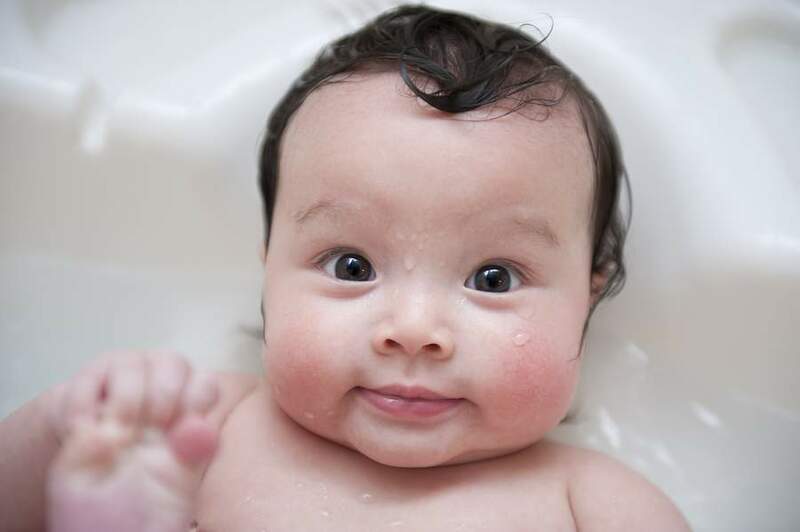 If you tried any of the above natural baby skin washes or any other organic baby wash formula, feel free to tell us your experience in the comments down below.